California fire authorities listed 39 active fires burning across the state with the worst devastation in the Wine Country where 9 major fires have burnt over 103,000 acres causing at least 19 deaths and 670 residents missing. Fire and safety authorities have found 110 of the 240-people reported missing people from Tuesday. But as rescuers have been able to get to more remote areas and gain information from friends and families, the total number of missing has spiked to 670. Government officials believe many of the missing will eventually be found, but the confirmed Wine Country death toll of 19 is expected to continue to rise. Two more deaths due to fires were reported in nearby Yuba County. Cooler temperatures across the state helped firefighter to put out 43 fires in a 24-hour period through 2 pm on Wednesday. But despite coastal clouds knocking down temperatures from a high of 84 degrees on Tuesday to surprisingly cooler 72 degrees on Wednesday, only one of the 9 major fires burning in the Wine Country is more than 3 percent contained. At least 3,500 homes and businesses have been destroyed in the Wine Country, including 11 wineries. But it appears that the world-class Stag’s Leap Winery, located at 6150 Silverado Trail in Napa that was reported as lost, has relatively survived. The main winery and tasting room are intact, but several of the property’s surrounding buildings were lost. The California Wine Country losses come after French agriculture ministry reported last month that due to a mild March and a bitter April frost, France is expecting to have the worst wine grape harvest since 1945, including a 40 percent drop in the premier wine-growing region of Bordeaux. California Wine Country financial losses will also include the huge risk of wildfire smoke taint in grapes that do survive and are subsequently harvested. According to ETS laboratories, grapes exposed to guaiacol and 4-methylguaiacol phenols from smoke and blended into wine, tend to have an ashtray taste that may remain on the palate after swallowing. 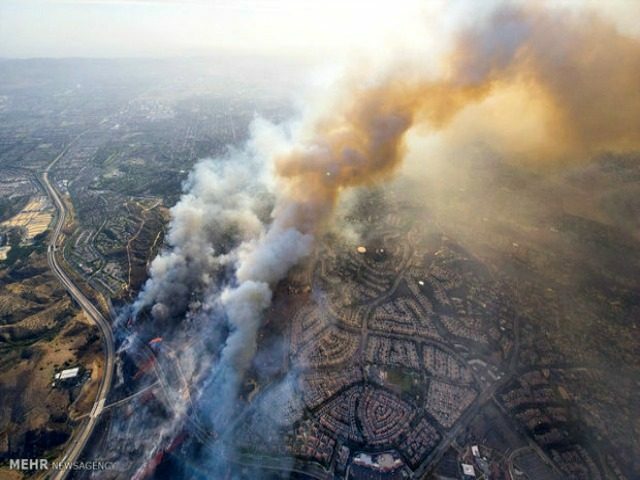 California Wine Country wildfires in 2008 caused significant grape damage to the higher end vintners due to smoke taint. Rather than command premium prices, most of the grapes were sold off at big discounts to the bulk market, or used as blending agents.